In the quickening of shadows at sunset, Mercury disappears in a flash, shifting from an evening star into the invisible realm of the underworld where Hermes guides souls. After Mercury stations retrograde and transitions from being a visible evening star into an invisible planet moving slowly in retrograde, the variable nature of Mercury transmutes into an alternate realm of perception requiring an alert intuition and a patient mind open to changes of plan and revelation of previously concealed insight. Though Mercury retrograde carries the projection of a scapegoat in popular culture in which all mishaps and mayhem are attributed to the whims of Hermes, there is vital meaning to be found in the experience of Mercury moving retrograde through our zodiac. Mercury retrograde periods can destabilize and force issues to the surface we may rather not deal with, but truth reveals that whatever arises for us to face during times of Mercury retrograde are necessary for us to gain awareness of and respond in a way that nurtures self-development and growth. Mercury stations retrograde on 19 December 2016 while forming a close (but not exact) conjunction with Pluto in Capricorn. Mercury stationing, standing still only one degree behind Pluto in the days leading up to and following its transition into retrograde motions dramatically amplifies the charge of issues that emerge to surface awareness through daily conversations and commerce. It is further significant that Mercury does not complete an exact conjunction with Pluto, but rather pulls back at the last moment in a tight balsamic conjunction. Mercury pulls away from Pluto and will re-enter Sagittarius at the beginning of January 2017 where it will station direct conjoining the zodiac degrees associated with our Galactic Center. Mercury will ultimately complete a conjunction with Pluto and begin a new cycle with Pluto on 29 January 2017, a time period in which we will be able to coalesce deeper understanding into all the various affairs that transpire in the next few weeks of Mercury retrograde. Mercury moving back and forth in balsamic relationship with Pluto takes us deep into the bedrock of our foundational beliefs, like a miner dredging through earth in search of buried gold. Events associated with Pluto also involve compulsive attraction in addition to subconscious triggers that repel us, and yet with reflection we can discover that both what we are drawn to as well as repulsed by holds key insight into our underlying development of meaning. Mercury retrograde delights in fields of gray in-betweeness, and combined with Pluto any rigid black and white mental constructs one has been fixated upon may dissolve in the confrontations of thought that will come. Though we may initially resist and defensively argue against perspectives threatening beliefs we have wound our sense of emotional security around, through reflection and an open mind the Mercury retrograde can facilitate integration of a new perspective regarding ourselves or our world that will rejuvenate our inner feelings of soulfulness and purpose, helping us discover a path forward that is more fulfilling than the one we had been previously been set to follow. The beginning of Mercury retrograde is intensified through its conjunction with Pluto in Capricorn, opening a subconscious portal into exploration of the constructs of time and space we apply to phenomenal reality. Capricorn involves the maturity and responsibility cultivated through facing and dealing with natural cycles of change, and so there is compelling synchronicity that the beginning of Mercury retrograde occurs at the time of the Capricorn Solstice, the peak period of darkness in the Northern Hemisphere and of light in the Southern Hemisphere. Regarding Pluto in Capricorn’s relationship with natural laws of change, Jeff Green in evolutionary astrology taught that structural change comes from crystallized and outdated levels of reality that require a breakdown of collective forms to bring about growth. Mercury retrograde in Capricorn will thereby bring opportunities to claim one’s inner authority and ability to express one’s individuality within the seismic societal shifts erupting around our planet. We know that our societies are formed by laws, regulations, norms and taboos designed to create a stable whole, yet we sometimes forget to reflect upon how our conformity to societal norms can limit our experience of essential growth in the moment. Mercury retrograde in Capricorn will destabilize elements of societal norms and rules, breaking open and purging numerous taboos. Like the ancient Saturnalia in which societal conventions are overturned, Mercury retrograde in Capricorn compels us to realign our conformity to societal conventions that have been blocking our authenticity. While we are able to co-create reality, if we want to make a direct impact on society we also need to discern a method of successful integration so that an audience may receive our shared values and meaning. Within the tumult of tempestuous collective events and mutating norms, Mercury retrograde may guide us into inner awareness of modifications we need to make in all areas of our life connected to the role we are called to embody in society. Since Mercury stations retrograde in the home of Saturn and will station direct in the home of Jupiter, its retrograde phase has intense resonance with the harmonious aspects formed between Saturn in Sagittarius with the full phase opposition between Jupiter in Libra and Uranus in Aries that will complete its first exact alignment during the Mercury retrograde. The cycle between Jupiter and Uranus involves the nature of beliefs we are conditioned to project upon reality, as well as the process of liberating from past influences in order to find a meaningful vision of life to live from. For ages, human beings have been developing belief systems around trying to control and regulate, in a Capricorn manner, the interactions of humans within societies and the natural world. Yet we also hold subconscious (Uranus) memories that extend into the nomadic time period of humanity that predated the development of agricultural civilizations. This necessitates at times for our experience of the Uranus archetype to come into conflict with the myriad consensus belief systems in place focused upon the way human beings should interact with one another in society. When our vision of life fueled by the knowledge we are gaining from our personal experience (Jupiter) comes into conflict with the norms dictated by consensus belief systems (Saturn and Capricorn) we arrive at a crux in which we can feel judged and ashamed or instead individuate with self assertion in the direction of the vision being felt within. At the same time that Mercury stations retrograde in Capricorn, Mars enters Pisces and begins its movement toward the transiting South Node of the Moon and Neptune. On a collective level the movement of Mars across Pisces in this section will correspond with numerous eruptions of violence and trauma connected with religion, politics, and other belief systems that have been in conflict with one another for centuries. On a personal level, this same transit brings the opportunity to go within and reflect upon our own shadow and those aspects of ourself we like to pretend are not really there, aspects often conditioned by the belief systems of our culture. As Fyodor Dostoyevsky (born with Mercury retrograde in Sagittarius in square to his lunar nodes) wrote in The Brothers Karamazov, “what seems bad to you in yourself is purified by the very fact that you have noticed it in yourself.” The Mercury retrograde will bring numerous opportunities for powerful self awareness that will lead us into opportunities to make choices within a presence rooted more firmly within our wholeness. Facilitating this process will be Venus in Aquarius, as Venus will move into a harmonious sextile with Saturn in Sagittarius and Uranus in Aries, as well as a stabilizing trine with Jupiter in Libra. If you have been reading my writing on the Mercury retrograde transits this past year, you may remember with the Taurus retrograde in May 2016 I wrote about its link with the Hathor asteroid, and that in the Virgo retrograde in September 2016 I wrote about its link with the Sekhmet asteroid. The current Mercury retrograde in Capricorn has a link with the Isis asteroid #42, as Mercury is conjoining Isis in addition to Pluto when it stations retrograde, with Mercury at 15º03′ and Isis at 14º47′. Isis is a synthesizer of love and wisdom from our experiences, and by transit and aspect in our natal chart the Isis asteroid (#42) signifies unity, loyalty, devotion, sustaining, reassembling, resurrection, soul retrieval, healing of fragmentation, and finding wholeness of Self in relation with the Other. The daughter of Night (Nut) and Earth (Geb), Isis has been commonly connected to the sign of Virgo in astrology, and so has connection to the transiting lunar nodes of Virgo (North Node) and Pisces (South Node). Mercury’s rulership of Virgo further connects with Isis, as both Mercury and Isis can move between the upper world and underworld and weave a web unifying seemingly disparate points of focus. Isis further links to Virgo’s polarity with Pisces, as Isis embodies the ability to integrate the detailed practical magic of Virgo with the expansive love and compassion of Pisces that flows in search of ultimate understanding. Isis is Love, the quality of our consciousness that proves we are all connected, just like the stars above us, the minerals of our Earth below us, and our neurons and other cells inside us. Isis weaves the web of love through times of trauma and dismemberment of our parts, our physical body parts and our etheric soul fragments, in order to bring about a healing and retrieval of our wholeness. The Inferior conjunction of Mercury occurs when it forms an exact alignment in between the orbit of our Earth with our Sun, bringing Mercury retrograde and the Sun into an exact conjunction. Called cazimi or being in the heart of the Sun, this rebirth of Mercury will occur on 28 December 2016 at a Dark Moon in Capricorn. In fact, later on the same day that Mercury retrograde unites with our Sun, we will experience a New Moon in Capricorn. When Mercury retrograde enters the heart of our Sun, we experience a purification of Mercury and how we interpret and convey meaning in our life. In the time leading up to Mercury’s union with the Sun, we may sense a release and death of outmoded constructs, perceptions, and habits. As Mercury retrograde begins to slowly separate from the Sun as we next experience a New Moon in Capricorn, we will find ourselves in an opportune moment to form intentions and resolutions for the calendar year of 2017 and what we want to share and integrate into the world and our daily lives. There are numerous powerful astrological transits occurring at the same time, such as Jupiter and Uranus in an exact opposition, with Saturn in sextile to Jupiter and in trine to Uranus. 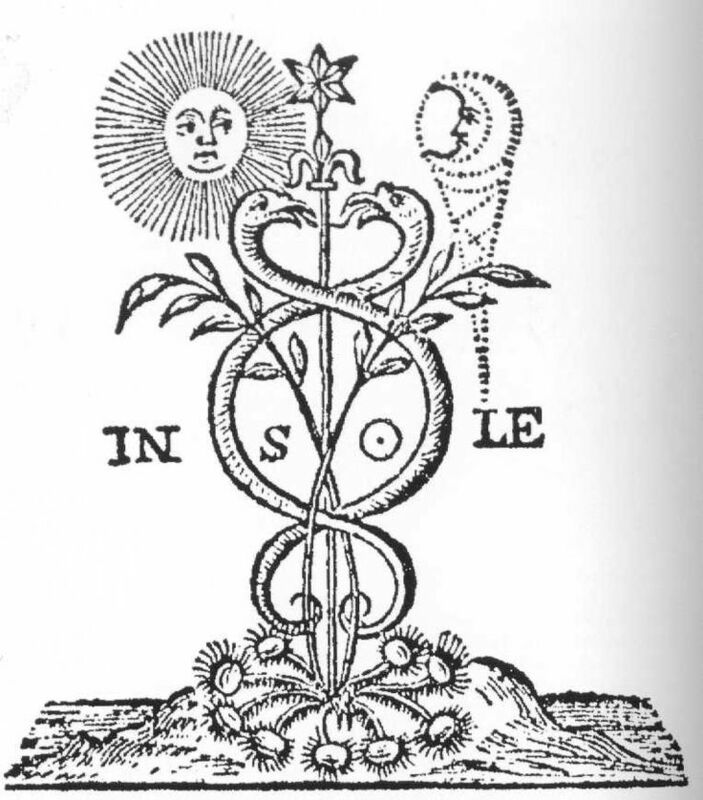 In addition, Venus in Aquarius will be in range of harmonious aspects to Jupiter, Saturn, and Uranus, and Mars in Pisces will be in between the South Node of the Moon and Neptune, conjoining both. This is a beautiful moment for complete and utter honesty with oneself and reawakening from whatever dreams and illusions we have had about our life we now realize do not align with our current reality. There is tremendous energy involved in all of these aspects that can be utilized to bring visionary ideals into manifestation in the material world, but to do so requires a full presence attuned to what is actually occurring rather than what we wish was occurring. It also involves taking the responsibility intrinsic to Capricorn in every moment in how we respond to what we are receiving from life. feel how your every breath enlarges space. is taking strength from such fare. Know every path through transformation. that one experience at the core of your sorrow? If drinking is bitter, become wine. the meaning of their strange encounter. say to the silent loam: I flow. Mercury moves backward into Sagittarius on 4 January 2017, stationing direct on 8 January 2017 at 28º51′ of Sagittarius in range of a conjunction with the zodiac degrees linked to our Galactic Center. Philip Sedgwick has written that astrological connections with the Galactic Center facilitate the release of old memories that have been inhibiting growth and development, creating an emptiness of inner space that can welcome new, invigorating emotional experiences that will spur progress in life and the reception of new insight. Mercury will remain in Sagittarius until 12 January 2017 when it re-enters Capricorn. Mercury stationing and then slowly moving direct in the home of Jupiter amplifies the potential of the Mercury retrograde phase to uncover a more fulfilling vision of life to embody and share. Fascinatingly, Pluto in Capricorn is also highlighted at the time of Mercury stationing direct, as the Sun will be conjoining Pluto. To reach the full potential of these aspects it will be necessary to take the responsibility of claiming one’s inner authority to make the choices available that support and resonate with one’s inner values. At the time Mercury stations direct, Venus will have entered Pisces and will be conjoining the South Node of the Moon and Neptune. Venus exalted in Pisces will nurture the capacity of our sensual nature to enter the flow of life and not only envision a reality in which we may behold our soulful desires, but also alter reality to bring about manifestation of our deeply felt values. It is also a period in which the stationing direct of Mercury may jolt us with a shock of awareness regarding illusions we had been carrying about relationships, or unveil an epiphany into an underlying relational pattern we have been unconsciously perpetuating that now needs to be let go in order to cultivate healthier, growth-oriented relationships. Mercury will return to the zodiac degree it stationed retrograde in Capricorn around the time of a New Moon in Aquarius on 27 January 2017. Interestingly, with regards to the previous mention of Mercury stationing in conjunction with the Isis asteroid, there will be a union of the Isis and Osiris asteroids that brings an added level of healing our wholeness on the same day. Two days after the New Moon, Mercury will finally complete its exact conjunction with Pluto on 29 January 2017. As Mercury begins a new cycle with Pluto as we enter the month of February, we will be able to receive a more complete understanding of the full ramifications of events associated with the Mercury retrograde. Through utilizing Mercury retrograde to both nurture our inner security and take the responsibility to act from our inner authority, we will be guided into understanding of how to integrate our essential vision of meaning and individuality within our greater society in a way that will make a tangible impact. Complainte de la Seine translation. Green, Jeff. (1985). Pluto: the evolutionary journey of the soul. Llewellyn. p.s. i think you mean new moon in aqua january 27. As we descend into these unholy times on Planet Earth, it’s great to know you’ve got us by the hand, leading us into some kind of understanding of the (otherwise) incomprehensible methods to the madness. (No wonder I’m still not sleeping soundly.) But. I’m glad with this Sag rising I pretty much keep peeling up the paper of the Magic Slate to begin anew – I don’t carry much baggage. But I sure am witnessing many, many relationships held to the fire, these days. Thanks, Gray, once again. Lots to take in, as always. Aloha. Thank you Bela, I hope you enjoy the holidays and all my best to your family! It’s good not to be carrying baggage these days!